Less computer time means more reading and crocheting time in the evenings. 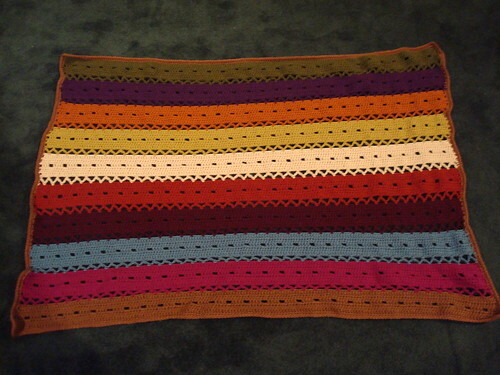 Here's a project I finished for the Ravelympics--a pretty afghan. LaMa, totally something you can do, and I'm happy with the way it came out! 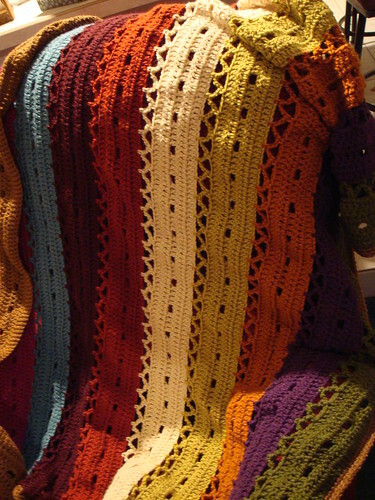 And then there's this picture, which isn't the best but gives you more of an idea of the detail to the afghan. It's a good and easy pattern, and fairly portable, until you get to the joining row. This page contains a single entry by MamaT published on February 22, 2010 8:48 AM. Now, the beginning was the previous entry in this blog.